Mindray offers a full range of anesthetic vaporizers for use on the A-Series Anesthesia Systems in support of clinical and pharmaceutical requirements. 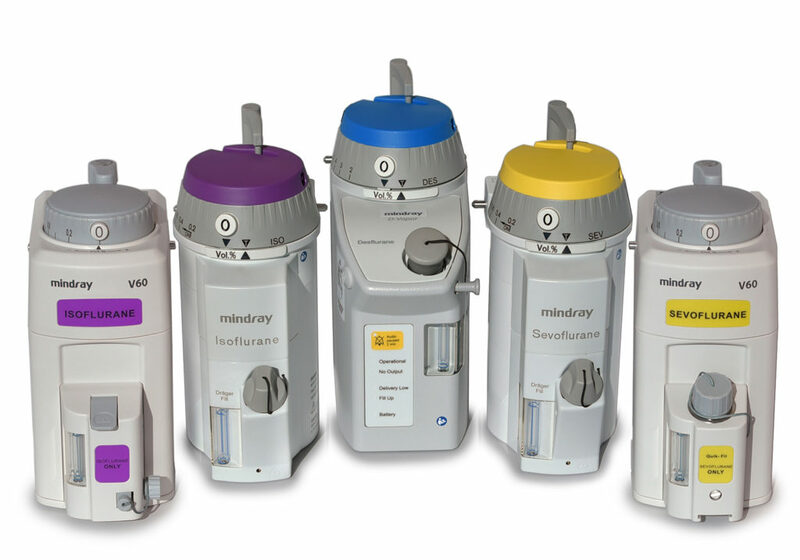 The Mindray V60 Vaporizers are available for Isoflurane and Sevoflurane. The V60’s Automatic Flow / Temperature / Pressure Compensation ensures a constant output and accurate concentration of anesthetic agents even under varying environmental conditions. Isoflurane, Sevoflurane, and Desflurane are available in the popular Vapor 2000 style to satisfy individual customer’s needs. Mindray vaporizers come with a standard 1-year warranty and include comprehensive clinical training by Mindray’s specialists when purchased in conjunction with Mindray A-Series products. Additionally, technical remote support is available 24 hours a day, 7 days a week, at no charge. * SELECTATEC is a registered trademark of Datex-Ohmeda.